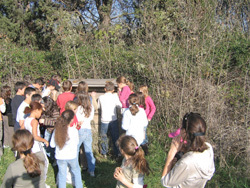 Environmental education activities at the Vigueirat Marshes aims to make children aware of the richness of wetlands and to get them to adopt respectful behaviour towards this habitats. 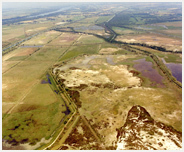 Environmental and territory education activities are insured in the Vigueirat Marshes by the Permanent Centre of Initiatives for the Environnement Rhône – Pays d’Arles. By promoting the diversity of subjects of study, these educational activities are developed in correlation with different learning cycles of the National Education. Each activity is based on the active participation of school alongside their teacher as well as field trips. Summaries in rooms con complete the activity. Hides, observation tower, telescope, aquakit, aquariums, illustrated guides, observation sheets … all elements that allow to explore, study and understand the Camargue marshes. (Accompanying people may have to supervise some workshop). Provided by specialist workers, guarantee a contribution of knowledge, concerned with pedagogical reflection, and warned about security issues. Fauna, flora, the marsh’a atmospheres, Man and environment, the protection of nature.